One of the most common questions about consuming plant-based foods is “How do I get my protein? 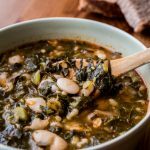 !” Luckily, with a little bit of thought, creating a balanced plant-based diet and lifestyle with adequate protein is easy! 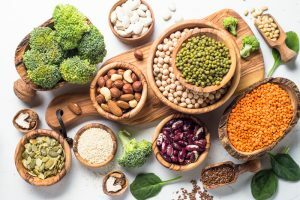 Even better, many plant-based proteins actually carry a variety of benefits aside from their protein content, such as being high in fiber, vitamins and minerals. So not only will you get enough of a vital nutrient but you will get a whole host of other useful micronutrients. Adding more plant-based protein into your daily routine is much simpler than many people think. 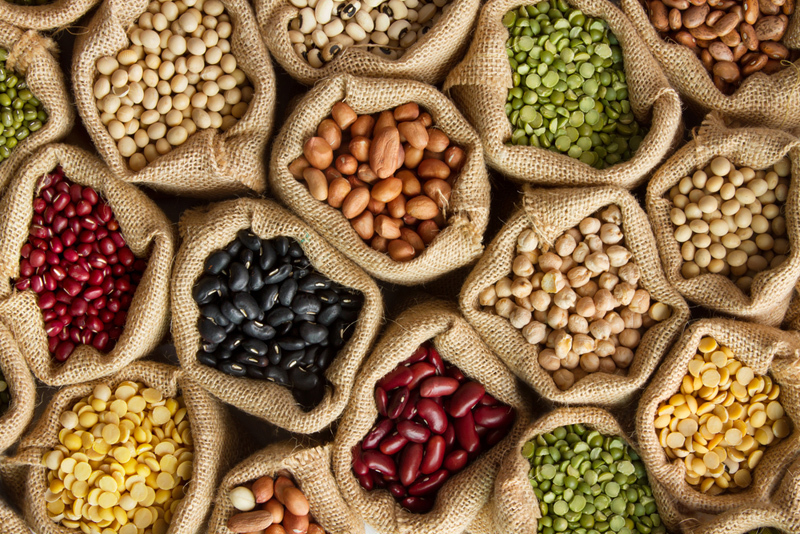 There are a variety of plant-based foods that are high in protein including legumes, including beans, peas and lentils, tofu, tempeh, nuts, seeds (as well as nut and seed butters), and certain grains. So, if you incorporate a range of these foods in your diet you will find that it’s easy, and satisfying, to get adequate protein every day. In general, the protein recommendations for the general public is in the range of 0.8-1.0 g of protein per kilogram of their body weight. As an example, an individual who weighs 68 kilograms, or 150 pounds, should aim for 54.5-68.2 grams of protein per day. *Older adults, young children, and active individuals may need more protein. Please consult a Registered Dietitian for individualized recommendations. “Complete” proteins are those that do contain all nine essential amino acids. Plant-based sources of complete protein include soy foods such as edamame, soy beans, tofu and tempeh, hemp hearts, chia seeds and quinoa. 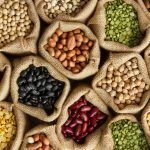 A common myth of plant-based proteins is that they do not contain all nine essential amino acids. 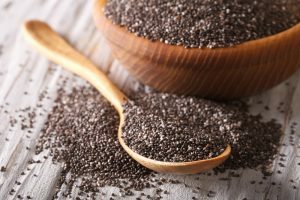 These nine essential amino acids are, well, essential for our bodies to function properly! Our bodies do not make enough of them on its own, therefore we have to get them from food. 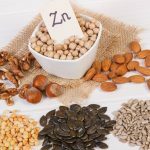 There are two essential amino acids, lysine and methionine, that may be a concern for individuals following a primarily plant-based diet. With that said, ensuring variety in your plant based proteins often is all you need to ensure that even these two tricker amino acids are consumed in large enough quantities. 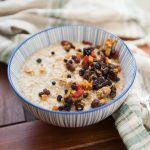 As some examples, lysine can be found in high doses in legumes, while cereals, such as brown rice, oats, and grains, are typically high in methionine. 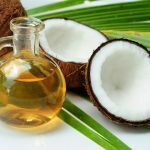 Another common myth is that we need to have all of the essential amino acids in every meal in order for optimal body functions. This however is not actually true as we now know that humans are able to store “pools” of amino acids, meaning that consuming all nine essential amino acids at every meal is not necessary. So, in other words, if your daily diet is well balanced and contains a variety of foods with these amino acids, getting enough protein overall, in addition sufficient quantities of each amino acid, should not be an issue. Snack on hummus for a high protein, high fiber snack! Pack a few tablespoons of nuts or seeds for a quick, on the go snack! What is your favorite way to add plant-based protein to a meal? Let us know in the comments below! McDougall, J. (2002). Plant foods have a complete amino acid composition. Circulation, 105(25), e197-e197. Medline Plus Medical Encyclopedia. (2003). Protein in diet. U.S. National Library of Medicine and National Institute of Health. Michelfelder, A. J. (2009). Soy: a complete source of protein. American family physician, 79(1). Millward, D. J. (2004). Macronutrient intakes as determinants of dietary protein and amino acid adequacy. The Journal of nutrition, 134(6), 1588S-1596S. Young, V. R. (1994). Adult amino acid requirements: the case for a major revision in current recommendations. The Journal of nutrition, 124(suppl_8), 1517S-1523S.